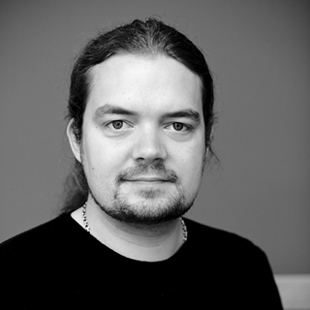 Ben Longden - Sheffield based PHP developer, manager and hypermedia evangelist. There’s been some recent discussion on the hal-discuss mailing list around the ‘Zoom’ concept for embedding resources, which has prompted me to start exploring this area a little further with a view to potentially writing up a specification that can be applied to any media type that define a way of embedding resources. This blog post mostly serves as a narrative to document my own ideas and learnings and to collect comments and recommendations from others in order to arrive at a proposal that will work for (almost!) everyone. At its most simple level, clients need a way of being able to take an existing resource with defined link relations and zoom (or expand) the current resource to include them in the response. This is primarily to avoid a second round trip to the server in order to retrieve the resource representation that the client is interested in seeing. To illustrate the problem, I have provided an example (for the sake of brevity, I have only included relevant parts of the resource representation). In the above example, imagine a scenario where the client that has requested this representation is actually interested in the resource found at the ‘http://…/rels/detail’ link relation. The client now has to make a second request to the server in order to get at the data it needs. We can alleviate this by using a feature of the media type known as embedding – however it is impractical to embed every linked resource every time. We must provide a way of allowing the client to specify the resource it is interested in – and this is ‘Zoom’. If we allow the ‘zoom’ (or ‘z’) parameter in the query string to be reserved for this purpose, we can request that the server embeds the link relation by performing a GET request on ‘http://…/example/1?zoom=http://…/rels/detail’. The server would then be given the instruction to embed the resource and return it all in the response. If we wanted to embed two items, the zoom query parameter may accept multiple link relations separated by commas, i.e., http://…/example/1?zoom=http://…/rels/detail,http://…/rels/misc. The HAL format also supports CURIE style links to shorten the length of link relations and abbreviate the link down to a ‘x:detail’ or ‘x:misc’ format. There is no reason to not support these shorter syntax link rels, if the CURIE can be resolved. Here is an example of ‘http://…/example/1/?zoom=x:detail’. The above examples and narrative cover zoom at it’s most basic implementation – and this will fit many situations fairly well. However, this idea of partially embedding sub resources is not new – what we are seeking is a unified way of following this pattern so that a common approach can be applied to any media type that has the ability to embed resources. Implementations of this pattern can be found ‘in the wild’ in a number of places – to varying levels of completeness. From simply being able to embed a resource in a representation through to being able to specify a DSL to allow clients to query data that’s returned (specifying a limit to the number of resources in an embedded collection, or filtering by values in an embedded collection. I’ll write up some thoughts around querying and limiting embedded data in a future post – i’d like to keep things relatively simple for now, and dive deeper into what the possibilities are later! Comments more than welcome below. Before attending the conference I had always advocated taking an existing hypermedia type (for the examples here I will use application/hal+json) and trying to represent a resource using that. More often than not, I would require some affordances that are not defined in the spec – so extending it and creating my own vender specific mime type (which defines what base type it extends) made a lot of sense to me. Now that various media types are become ubiquitous amongst API designers (Hal and collection+json amongst others), it’s made me see the advantage of sticking to the base type whilst negotiating with the server on what content you receive. The reason? Because other clients that understand these hypermedia types are staring to emerge – much like the web browsers in which we browse the text/html hypermedia type today. Like HTML, hypermedia types are created with the understanding that if an element exists that the client is not able to assign meaning to (an affordance that is not part of the spec, or not implemented by the client), then it can simply ignore it as if it was never there. This is quite powerful – it allows you to define optional extensions to a hypermedia type whilst maintaining compatibility with clients and intermediaries which already understand your base type. Collection+json supports this idea quite well, and the author (Mike Amundsen) accepts additional patches to define extensions as part of the specification – extensions that one day could form part of a revised version of the specification for everyone to use, but exist as extensions that can be understood by any third party client that support them. It is now my opinion that the creation of custom mime types (without registering them with IANA) actually harm the interoperability of the web – and close down a hypermedia API to clients which have specifically been created for your own hypermedia type. Perhaps a missing piece of the puzzle right now is a way of being able to declare which extensions your document is actually making use of (if this is even needed once the extensions become part of the specification). Using a Link header (http://www.w3.org/wiki/LinkHeader) is potentially a good way of achieving this, though exactly how this works in practice is still being considered. There’s plenty of articles out there on how to build the perfect REST API, so I am not going to go into that. This article is all about what to think about when you’re building the perfect client for a REST API. What you’re being served is clearly important – but how you use that information is 50% of the problem – and it needs to be done correctly. API designers can spend a lot of time ensuring that their responses to you are perfectly well formed and self describing – but unless you pay attention to what it is that those messages are telling you, all that information is simply being thrown away. The very first thing your HTTP client will send to the server is the Request headers. Within that request, more often than not, you will send the Accept header and a list of media types that your client can support – and the order of preference within which you would like to see them. Chrome 20.0.1132.47 sends the following Accept header. Obviously this is a web browser, so it’s preference is going to be for text/html or application/xhtml+xml. Failing that, we can also take application/xml. If the server still can’t handle the request – then we’ll take anything at all (*/*). The web server will make a decision based on what your client has asked for. From that point on one of 3 things can happen. 1) You get back one of the media formats that you asked for. 2) You receive a 406 response (Not Acceptable). 3) You get back something you didn’t ask for at all (this is allowed as per RFC2616 – the server SHOULD only respond with a 406). This means that unless you’re explicitly checking what the response is after the request comes back – you could find yourself only assuming that the server is behaving as you think it is. The Accept header becomes very useful when you separate out a normal response from an error response. In the situation where a server error is causing a problem, you are likely to receive a 5xx response code from the server with little or no meaningful body (text/plain). Where an application error has occured you should also receive a 5xx (or a 4xx) code from the server – however having declared you are able to handle a more specific media type (application/vnd.error+xml for example), you are able to present more information to the user than you would otherwise be able to. Take the situation where you are consuming an API which serves up application/hal+xml and text/plain (hal for the resource representation, and a plain text for an error). The server is free to be able to add support for representing errors in application/vnd.error+xml without affecting any existing client – as long as the server continues to serve text/plain unless the new media type is deemed as acceptable to the client. Once the client is updated to add support for the new media type, it can take advantage of the additional information that can be provided. A RESTful API will contain explicit directives that declare if and for how long the response body can be cached for. This information is contained across Cache-Control / Vary headers or Expires header. If the response to your request comes back from the server and declared itself as being able to be cached (only Cache-Control: no-store is excluded from user-agent caches) then you should store it locally and serve up the cached response as long as it’s valid. There are of course already libraries you can use in your projects that will handle cacheing for you. If you usually use PHP for this stuff (I do), then I highly recommend you take a look at Guzzle to handle this for you. Yeah i’m going to talk about it again. Hypertext as the engine of application state. Golden rule #1, never construct links in code (unless you’re following a URI Template) – follow them from the links given to you in the resource. This means that when these links change – you don’t have to worry about your app breaking. #2, use the defined link relations of the hypermedia type to navigate through the application (ie, HTML’s ‘rel’ attribute on the link tag). That’s about it. Don’t assume anything if it’s not defined by the media type rules and the representation you receive and you can’t go wrong. When designing a complex hypermedia API you will inevitably come across the situation where instead of returning the required resource, you need to return an error state. Currently, there is no hypermedia type registered with IANA to deal with this scenario, so it is left up to the API designer to construct and document a mime type that can be used to express an error state in the application. Because of this, several people have come together and put together a proposal for the application/vnd.error media type. It has been documented over on Github and the mime type has been submitted for approval by IANA. The intention for this media type is that it should be used when a client has made a request, however the server is unable to fulfil the request to to either a server side error (a code 5xx) or a problem with the client request (a code 4xx). It is up to the implementor to decide whether the api should return a 406 (Not Acceptable) response if the client states it will not accept application/vnd.error+xml or json and an error is triggere, or if it should return the application/vnd.error+xml or json response anyway. The specification for application/vnd.error is draft – if you have comments / suggestions or enhancements to the media type, let’s talk (comments on this blog, issues on github, twitter etc). For me, one of the most exciting things that we have in PHP 5.4 is its built in web server. It makes being able to jump in the deep end with new ideas much easier and avoids the tedious work in setting up and needing apache to run before you have code to deploy. I have been playing around with the Silex framework in the last few weeks to build a prototype of a REST API that I have been thinking about. This is how I got going with Silex once I had PHP 5.4 installed. So you think TDD isn’t worth the cost? Think of the full software development life cycle. We gather requirements, create user stories, break them down into tasks, estimate, fight with your client about how long it’s all going to take, renegotiate the timings (what’s 35% of the development time on unit tests? Do we need those? ), submit a revised timescale with cut down requirements and no time allocated to testing. Then we start development. And soon the problems start coming up. At the end of the first sprint the client raises a few bugs with the software delivery… We didn’t account for those in the plan! And we can’t estimate them – we don’t know the size of the problem. That’s why it’s a bug… So we allocate some time in the next sprint to work on the top priority bugs and commit to developing fewer features. Pretty soon you’re way behind the plan. The number of bugs that we cannot estimate and didn’t plan for are sucking up too much time and we don’t know how long it’s going to take to get back to a point where we know how long the project is going to take. So what’s to be done? Bugs throughout the development life cycle are inevitable – but because we cannot know how many there will be and how long they will take to fix, we need to be able to minimise the number that crop up. Some research done by microsoft (http://research.microsoft.com/en-us/groups/ese/nagappan_tdd.pdf) has shown that spending 15-35% extra development time on adopting test driven development resulted in a pre-release defect density decrease of 40-90%. The ideal is when we can plan, develop and release software that contains no defects in a timescale that everyone agrees on. This wont happen any time soon – but an increase of 15-35% development time for up to a 90% decrease in the number of defects has *got* to be worth it by anybody’s standards. Have you used TDD (or BDD) and experienced similar results? Comments encouraged!